Is moving my modem this simple? Discussion in 'Virgin Media Broadband' started by DJT75, Feb 26, 2013. I receive my broadband from VirginMedia currently, the white Virgin box is positioned in my daughters bedroom at the front of the house. We've just extended the house to the side and back and are finding that the wifi doesn't quite reach the far corner of the new build (where I like to sit), so would like to have Virgin come move the box to downstairs. However, as a temporary fix I'd like some advice if this would work. I've removed the outta casing of the Virgin box to show the splitter inside (see photo 1). This 2nd bedroom is far closer to the new build and pretty central for the whole house now. So am I right in thinking I can simply remove the modem and router from bedroom 1 and plug them into this second cable in bedroom 2? 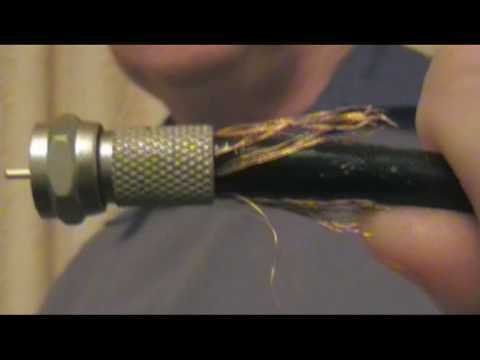 Does the splitter split the same content or is one side for TV and the other for Broadband? If I can't simply just move the modem, what about if I swap the 2 cables over in the splitter, or remove the splitter altogether - will that work to send broadband to the new bedroom? Yes, that will be fine. Simply unscrew the modem and attach it to the cable end that is already in bedroom 2. That is pretty much what I did myself, to move the Superhub from the front room into the hallway at my previous house. Worked great for my 100Mbit XXL service back then. Tried last night but the modem didn't like it. Didn't look to be receiving much and despite various flashing lights it never got to "Ready" (it's an old small black box modem). As soon as I plugged it back into the old cable it worked fine again. So other than possibly the cable under the floor being damaged, is there any other reason why this wouldn't work? Would be good to be able to test the cable but other than plugging in the modem I'm not sure how I can? If you swap the cables in the splitter and see if the modem works where it is now then that rules out the cables being different. If you then move the modem into the other room and it still doesn't work then that would suggest a faulty cable. Modem worked fine after swapping cables in the splitter. Then still didn't work once moved to other room. Just thinking about another idea - having Virgin come move the original white box to where I really want it downstairs, and add a second one near my main TV for future proofing. Would they fit 2 white boxes? And, can you run 2 modems within the same house? Thinking one at one end where I would put my router, and another near my TV where it's not to far to plug in an ethernet cable to various appliances. You could always leave the modem/router where it is now and invest in a set of Homeplug adapters with in-built wireless access point. This has the advantage of you being able to add more Homepug adapters later, to give some rooms wired Internet without having to run any additional cables through the house. It is also something that you can easily do yourself, meaning you will only need to bother Virgin if you wanted their TV service in one of the other rooms. One adapter plug into a power socket near the router and connects to it via an Ethernet/network cable. The 2nd adapter (Wireless-N enabled) is plugged into a power socket near where you are not getting good wireless coverage, instantly creating a 2nd wireless Internet hotspot for you to connect to at full signal strength. The additional adapter can be connect into a mains socket anywhere in the house, to give you an instant Internet connection for any Ethernet enabled device (ie: Digibox, PS3, Xbox 360 etc...). You can plug multiple devices into one of these Homeplug adapters by adding a £8 network switch first. Notice: The Homplug signal quality and speed will depend entirely on the length and age of the electrical wiring between the adapters. On very large/old houses you may find that the Homeplugs are too slow for you to make sensible use of > 50Mbit broadband connection or not work at all. Question Best way to move superhub when used as modem?